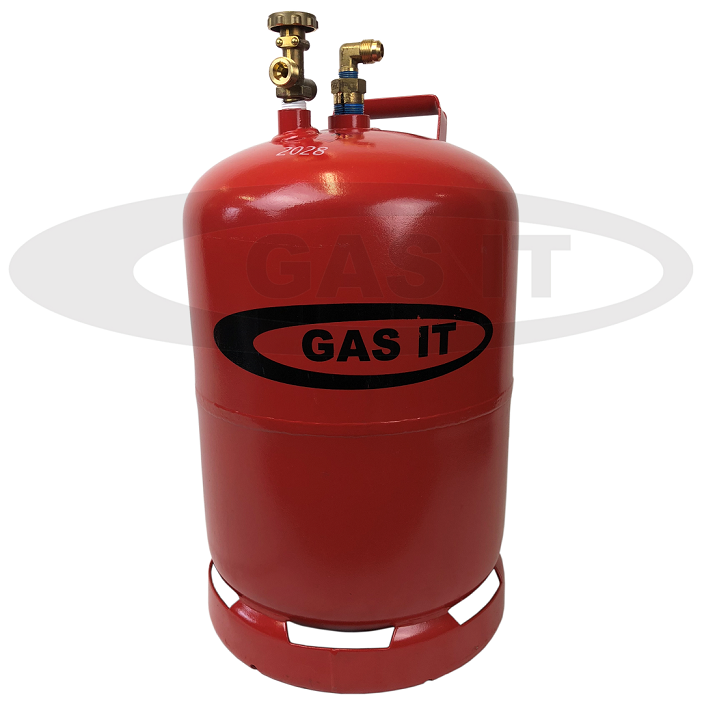 GAS IT Refillable Bottles - GAS IT Leisure Gas Bottles, Gas Cylincers and Gas Tanks - Catering, Motorhome, Campervan, Caravan, Farrier and Road Repair Refillable Gas Solutions. All GAS IT bottles come with all the gas valves pre fitted at no extra cost. FAWO Gas Bottle Bracket (spacer) allowing our FAWO bottle bracket to stand away form the gas locker wall. We are waiting for this item to at our warehouse. We currently estimate this item to be back in stock during the week of 02 Mar 2016. Delivery of this item would be after this date.